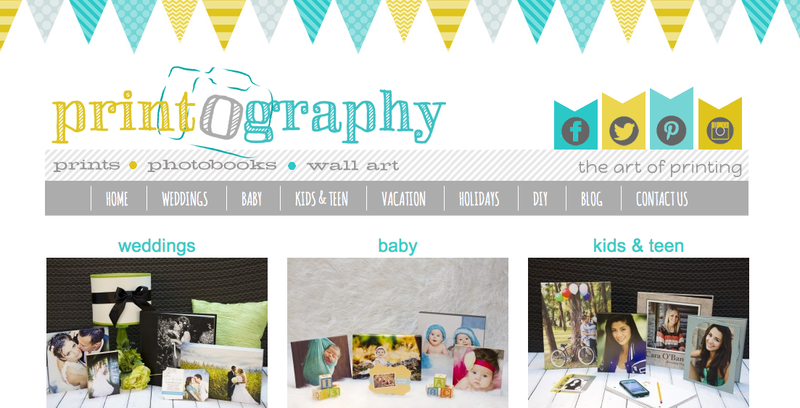 Today I had an awesome opportunity to review a new photo printing company called printography. I am quite the sucker for digital prints, although I am somewhat of a procrastinator when it actually comes around to the printing part. (Hopefully someone else can relate). I have a dream of filling my stairway walls with prints, be it photographs or art. I've started this little collection of mine with lots of art but I am slacking on the photography end of things. Today I had the opportunity to get my wall collection started! The website was fun and lively with different categories to choose from: weddings, baby, etc. I chose a 11 x 14 canvas wrap (one of their most popular) in the wedding section. You can even edit the photos within the website itself (borders, collages, text, backgrounds, all that jazz). I ordered a photo from a trash the dress photo shoot Mr. Christopher and I did a few years ago in Rocky Mountain National Park. I always dreamed of making it into a photo canvas, and today was the day! In addition to the canvas wraps, they also have lots of other options like photo mounts, photo books, cards, announcements and lots of other goodies. Once the canvas gets here I'll let you know how it looks, but feel free to check out the website for yourself. AND if you end up purchasing anything, use the code Launch10 for 10% your entire order!